The Windows Single SignOn Plugin is an extension that can be installed in a ProcessMaker server, in order to bring the ability to use Active Directory accounts like normal ProcessMaker accounts, enabling Windows Single Sign-On. This means that users will be able to automatically log in to ProcessMaker skipping the login screen using their Active Directory accounts. For ProcessMaker installations in Linux environments, Processmaker uses a third party software called PLEXCEL. During the plugin installation, a plexcel user will be created in the Active Directory. This user will link ProcessMaker and the Active Directory service. The first time that the user logs in to ProcessMaker, ProcessMaker will log in to the Active Directory (using the plexcel user) and verify that the user exists within the Active Directory. If the user exists in the Active Directory and not in ProcessMaker, the plugin will create the user in ProcessMaker automatically. Note that this process does NOT import the user's password into ProcessMaker. The Windows Single Sign-On plugin works for Microsoft Active Directory and uses user account credentials to log in to ProcessMaker. In addition, synchronization of the Active Directory account list with the ProcessMaker account list will happen automatically. New accounts created in the Active Directory will be also created in ProcessMaker. For employees that no longer work at the company, but their accounts are still maintained in the Active Directory, move them to "Terminated" OU and ProcessMaker will consider them disabled accounts. The current version of this plugin also synchronizes groups. For accounts created using the Windows Single Sign-On plugin, the authentication is replicated on your Active Directory Server. 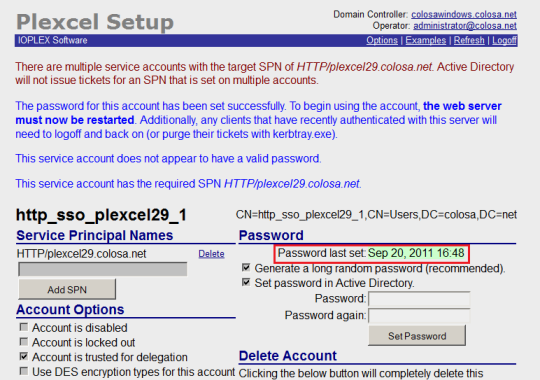 Remember that ProcessMaker does NOT save the user password, it just verifies the password when logging in via a trusted connection with the Active Directory Server. ProcessMaker Single Sign-On plugin ONLY works on Linux-based ProcessMaker servers because the Plexcel library is only compatible with Linux. An Active Directory server running. Credentials for a valid account with administrator permissions in the Active Directory server. DNS Domain entries, in case your network requires them. It is recommended that the user doing the installation has access to Active Directory Server to check the logs for both Windows Single Sign-On and Plexcel. 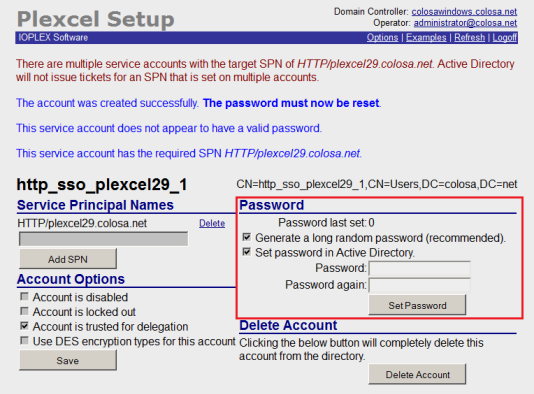 The Active Directory Server and Plexcel Server must be synchronized. Their time must not surpass 5 minutes. The Plexcel free license supports an unlimited number of users and groups for only 60 days. After that time it will only support 25 users and 25 groups. In case of needing support for more users or groups, a license must be acquired. Read the Plexcel Operator's Manual to have a complete guide on how to install plexcel. Download the file: plexcel-2.7.26.tar.gz (This version has been tested to work properly in ProcessMaker). To make sure the IP is pointing correctly, modify the hosts and add SRV record information that plexcel needs to connect to the Active Directory server, this file is usually located at /var/lib/plexcel. Modify the level log from "1" to "5". "1" means that it will log only the most critical issues and 5 means that it will log every event. Take into notice that the log will increase in size rapidly. This is only recommended for testing purposes. We need to verify that the DNS server is properly setup. To verify we can use the NSLOOKUP in windows and DIG command in Linux. If we are not able to see the DNS server we need to open and modify PHOST file. 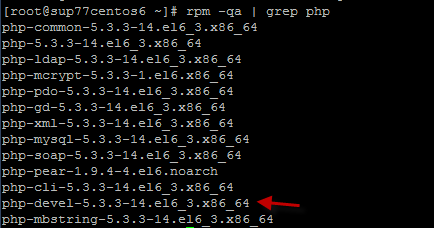 This file can be found in /var/lib/plexcel/ for RedHat and /var/lib/plexcel/ in Ubuntu. After installing the plexcel component for PHP, Plexcel must be configured. Click on ADMIN > Plugins> Enterprise Plugins Manager in the list of plugins enterprise. Select the Windows Single Sign-On plugin from the list and click the ADMIN button. If a response has been achieved in the specified domain, then proceed to enter the data from a user with administrator permissions. 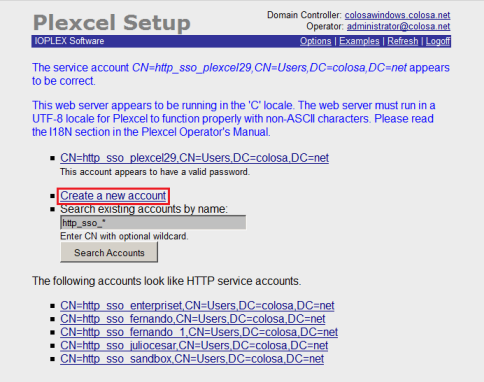 Create a new account, so Plexcel will be able to set a connection with the Active Directory server. Proceed to create the user. In this example, the data suggested by the wizard configuration of Plexcel is used. Once created, the user should proceed to change the password. After changing the server password it is necessary to restart the apache on the server. ProcessMaker has a plugin-able RBAC authentication design. This design allows to define an own ways to Verify authentication for users. A connection needs to be defined, this connection is called Authentication Source. An Authentication Source, basically it is the server and the port of Active Directory server. PM creates a record for the user in the database with a flag that this user should be authenticated against Active Directory. To configure the authentication source go to ADMIN > Users > Authentication source. This panel shows on the top a link to create a new authentication source, and on the bottom an authentication sources list. In order to create a New Authentication Source, Click on New to create an authentication source. Name: The name to identify the authentication source. Server Name: The server name needs to be a valid Active Directory server. (Load automatically from the plexcel) configuration). Port: The port of the LDAP service (Load automatically from the plexcel configuration). Base DN: The base DN is the base from all the searchs will be done. (Load automatically from the plexcel configuration). For more information on constructing DN chains, see this LDAP guide. Note Select YES in the enable automatic register. Once the authentication has been configured you will be able to import user and departments using WindowsSSO. In this list there is the name, provider, server name and port for every one of the authentication sources. Edit: This link field takes the user to the same panel for the creation of an authentication source, with the filled fields. Delete: This link field deletes the authentication source. Import Users: This link field imports users from the created authentication source. Synchronize Departments: This link show the tree of the OU in the Active Directory. Synchronize Groups: This link show the list of the groups in the Active Directory. To import click on the Import Users link. On the panel Search introduce a Keyword: This field is used to make queries to database and retrieve as many users as matches the keyword. The search is a *keyword* pattern. [SELECT-ALL]:This check box field is to select the user. If the user has already been imported a text User name already exists:(name), will show instead of the check box. Press on [SELECT-ALL] so all the users can be checked at once. Name: This field shows the user's complete name. E-Mail: This field shows the user's email. Distinguished Name: This field shows the users DN. The DN is a chain of information needed to validate a user, such as the user name, domain, etc. Import: This button import the checked users. windowsSSO plugin uses the User Identifier Field to check if an account was previously imported or not. In the tree will display all existing departments in the "Active Directory" server in a hierarchy way, each department has a checkbox on the right side, which allows it to be selected or deselected for consideration by the cron for the synchronization. For departments that were selected and the cron running, will display the number of users that belongs to them, which were successfully imported to PM. Once selected and / or deselect the departments, to save the changes it must be pressed button "Save Changes", which is located at the bottom right. In the tree will display all existing groups in the "Active Directory" server in a hierarchy way, each group has a checkbox on the right side, which allows it to be selected or deselected for consideration by the cron for the synchronization. For groups that were selected and ran the cron will display the number of users that belong to them, which were successfully imported to PM. Once selected and / or deselect the groups, to save the changes it must be pressed button "Save Changes", which is located at the bottom right. This feature and the Synchronization are very useful, because the ProcessMaker administrator doesn't need to create one by one every account in ProcessMaker. meanwhile the Synchronization create and synchronize users in specific departments, the automatic register will create an account in ProcessMaker for users who are not created in ProcessMaker but already created in Active Directory. The new created user should go to ProcessMaker login page and then provide their Active Directory password and the plugin after check the password will create a new account in ProcessMaker automatically. The user is created with the PM_OPERATOR Role. This feature can be enabled or disabled in the Authentication Source Form. Probably if the automatic Synchronization is enabled, this feature should be disabled. For employees/accounts resigned from the company, but still accounts in Active Directory, this plugin allows to define an OU for these ex-valid users. This OU is for to move them to the Terminated OU. ProcessMaker will consider them like disabled accounts. The synchronize process will check for every user his current OU, if the OU for any user is the same as the OU specified in the Terminated OU, that user will be disabled. New version of the plugin creates automatically a text log for all activities. 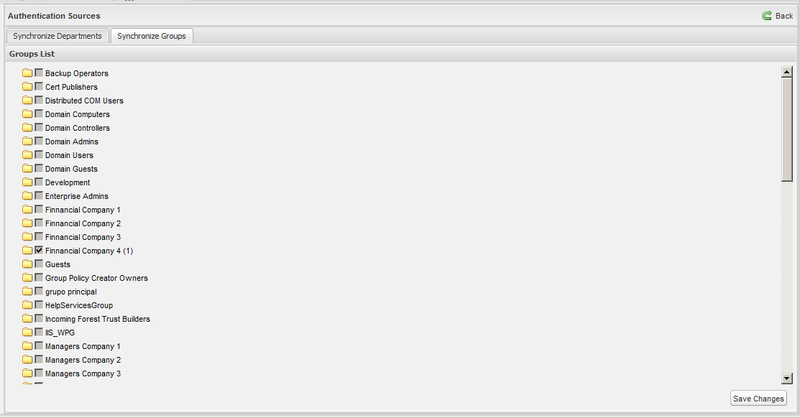 This log is very useful for debug purposes, or just to see what is happening with the plugin. 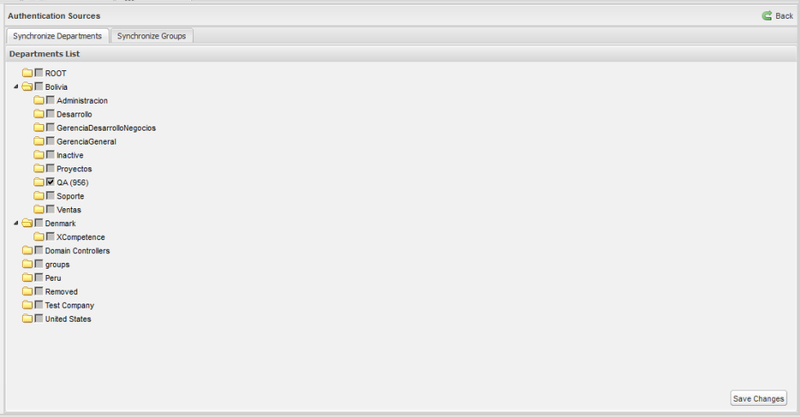 there is only one log file for all workspaces. Also logs the Active Directory error, and the error message in case there are an error in the connection. 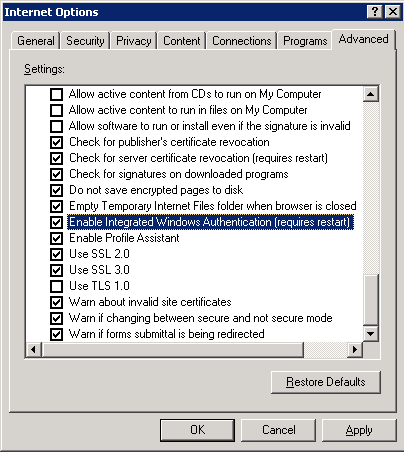 To enable Windows Single SignOn functionality it is necessary to configure the browsers in which the system will be used, in Mozilla Firefox enter the advanced settings, this is done by entering in the address bar "about: config", once there look for the word "trusted" and in the 2 results that appear add the servers where are installed ProcessMaker and Plexcel (if there are many separated them by commas). On Internet Explorer enter Tools -> Internet Options -> Advanced and check that the option Enable Integrated Windows Authentication is enabled. Then enter to Tools -> Internet Options -> Security and both Internet and Local Intranet verify that it is selected the option Automatic logon with current user and password. Finally enter into Tools -> Internet Options -> Security -> TrustedSites -> Sites and add the names of the places where it is installed and ProcessMaker and Plexcel. The entire URL must be entered correctly, to login automatically to ProcessMaker. Once you have purchase or given Plexcel license from ProcessMaker (license.key), you need to copy this file to the plexcel directory. Move the license.key from the old server to new server. 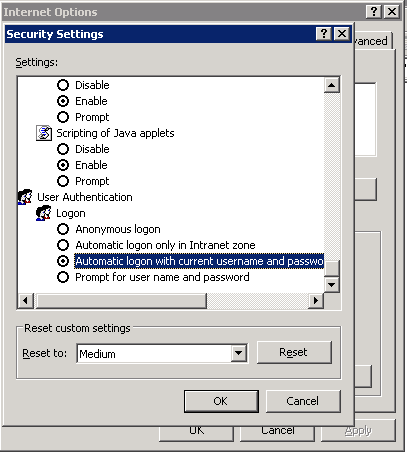 With the group policies it is possible to set by default the configuration required to enable the Windows Single SignOn for all computers that authenticate to the domain, so it can be avoided the manual configuration on each computer. © Copyright 2000-2019 ProcessMaker Inc. All rights reserved.